Looking at the variants, I saw some gaps I thought to fill in. Knowing in advance that those gaps were probably there for a good and valid reason, I did it anyways. Starting back at the beginning, complete the first step of the good luck knot and then flip it over (reverse it), then crown the side loops right over the corner loops. 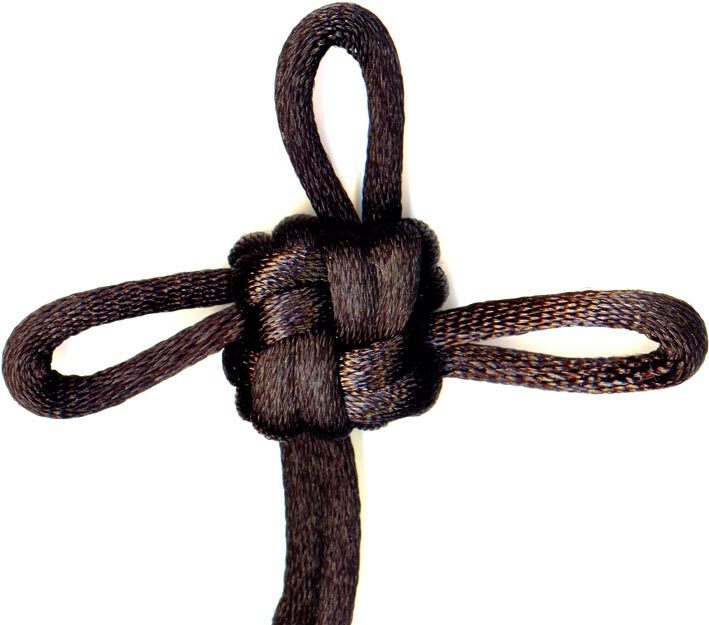 You are left with the good luck reverse crown knot like the good luck knot with no corner loops and a central body that seems twice as thick as the usual good luck knot thickness.